LOVE LOVE LOVE this book about friendship that blooms in the most unlikely places! Sometimes what we are looking for is right in front of us! Thanks Bree the Tree for that awesome reminder! Perfect for bedtime reading! What a delightful and charming story! My 3 daughters all loved the story and the illustrations. We can’t wait for the next book!! Sweet tale for your little ones! I so loved reading this book to my littles! They immediately connected with Bree the Tree and her friends, and even the toddler felt the loneliness of the tree at the beginning of the book and her joy at the end. “Tree, sad, Mama!” “Tree happy!” Wonderfully sweet tale about – literally – growing into yourself and finding true, lasting friendship. This book shows that in today’s world our dearest friends can be our family. As the story progresses you see the bond/friendship that Bree has with Chloe and Seth develop and grow stronger. I like the coloring book page at the back of the book. My little ones and myself enjoyed the message of family and delighted in the artwork. I highly recommend this story. A unique moving story of a tree that thinks she is navigating the world all alone. Ultimately, Bree comes to the realization that she is not alone but is surrounded by characters that care and love her, even though they are unlike her. By experiencing the world of Bree the tree, children will learn about embracing people of different backgrounds. Kami Boley does a brilliant job addressing this issue of diversity by taking you on a wonderful journey of this realization thru the colorful characters, illustrations and rhyming text. With its wonderful illustrations, the story of Bree and her friends comes to life through this descriptive and rhyming tale of friends becoming family. This original portrayal of a sprouting friendship by a bright and talented new author is a must-read. The lesson of how this diverse cast of a tree, sun, and cloud grow into a family is one that children and parents alike will find captivating. I foresee much success for Kami and am very eager to follow her unfolding literary talent. What a wonderful book—a truly meaningful book for children! The story illustrates how families are often non-traditional,and how friends that help us in our lives become family. The illustrations are beautiful, another example of family love—the story is written and illustrated by a mother-daughter team. The story is easily understood by children, and written in an upbeat rhyming style. 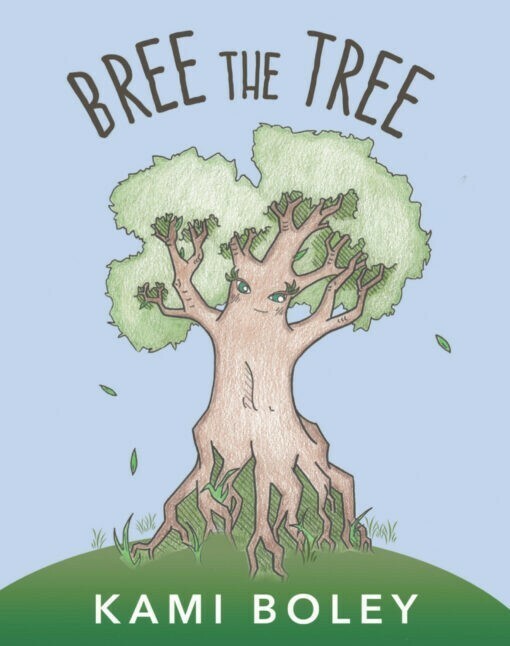 I am ordering several “Bree the Tree” copies for my friends. I think it will be a wonderful Christmas gift. Beautiful art, touching story, for families everywhere. This a great children’s book which my nieces loved to read! Finally a story that has values everyone can relate to. Bree is a loveable character that learns about friendship right there in front on you. I’m glad I stumbled upon this touching story with beautiful art! 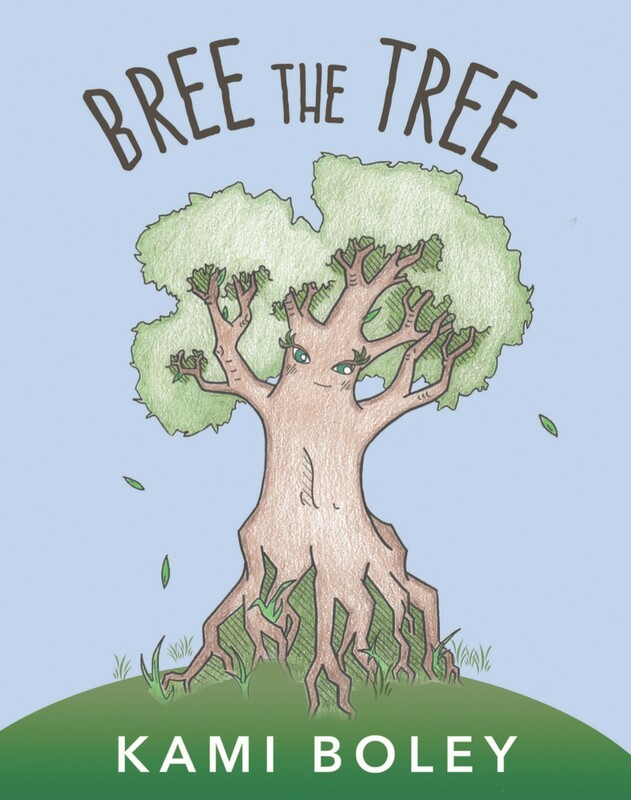 Bravo for Bree the Tree! Bree’s story is well written and beautifully illustrated! The story is heartwarming…the pictures are a feast for the eyes and left a smile on my face! A crowd pleaser for all ages! It will make great Christmas and birthday gifts that will be enjoyed for years to come! I LOVED this book! It’s adorable and has a message that all need to hear. We can’t make it all alone. We need help from friends who are different than us. We all play a role in each other’s happiness. A great message delivered thru a light hearted story. I found myself wanting to make Bree happy!! Sweet story. I chose a five star rating because I liked the illustrations and the story was absolutely adorable. I would recommend this product to my younger cousins. The story really teaches the value of friendship and helping others when they feel lonely. It also reminds us that after our tears joy comes in the morning. I would like to read more from this author and check out some of her books for adults. This was a nice, sweet book that any child could enjoy. It even contains a coloring page of Bree the tree! This is a beautiful, simple book for teaching kids the value of friendships and the love and compassion that accompany the closest friendships. I thought it was a cute story. Definitely would be enjoyable for smaller children. Plus, the illustration and style are so cute. Beautiful story! Can’t wait to read it to my little reading buddy! This book is precious! It has an interesting & touching storyline with cute rhyming. I love the crayon-colored illustrations and the page for children to color themselves. I’m picky about books for my grandkids and look forward to giving them this one. So amazing. My family and I loved it. Would love more like this. Fun little book with great illustrations. We will be giving this book to our friends and family and keeping one for ourselves. It’s a must read, a children’s treasure and a remembered story time . OMG!! Such a precious book. To know the writer-Kami personally I couldn’t imagine anything less. The illustrations were great and I’m sure my nephew will enjoy them as much as I did. Also, I especially liked the coloring page at the back (when not on kindle). New take on an old problem! Bree the Tree is a fresh look at the age-old issue of loneliness … and the comforting truth that your friends can come from unlikely places. What a sweet, consoling lesson to learn early! The cheerful art work adds to the upbeat lesson and makes the work very appealing. Love love loved reading this to my nephew! Absolutely love this book! Very well written and illustrated. Can’t wait to read it to my 4 year old! A sweet children’s story with lovely illustrations. I can’t wait to read it to my grandchild! Appropriate for toddlers to kindergartners. Engaging, sweet, insightful story about emotions we’ve all had. Optimistic story that will entertain and guide young readers tenderly through these issues. I’m buying a copy for all of the young children in my family, can’t wait to read it with them! What a wonderful book for me to read to my children!! Loved it. The illustrations are mesmerizing too. Spread the word!! Wonderful book and beautiful illustrations!! A truly delightful story for readers of all ages. It focuses on the values of friendship, love and family. The wonderful illustrations bring the story to life. This book will definitely touch anyone’s heart. Very nice story for young readers. This is a very nice story about friendship for young children. The illustrations are very cute and friendly. Great for the classroom or a bedtime story. Cool little book. I look forward to reading it to my Grandson! Delightful and entertaining while teaching the importance of family and friends. The illustrations bring the story to life in such a charming way that all will fall in love with Bree and all her friends/family. Will be a favorite pick for bedtime stories. Very sweet story and beautiful illustrations. I recommend it all families who want to teach the importance of friendship to their children. Great read if you have little ones or for the grand kids. Check it out. Great Illustrations!! This is a beautifully crafted story that honors all of the values we want to teach our children: family, friendship, loyalty, risk taking, acceptance, and celebration of diversity. Whimsically illustrated, it is as pleasing to the eye as it is to the ear. My daughter loved it, and, you guessed it, wanted me to read it to her again, and again and again. . . . . This is a fresh and sweet addition to the family library, and I look forward to enjoying it with my daughter for many years to come. This is an engaging and charming story about family and belonging. The artwork perfectly compliments the text. I would highly recommend this for any child- and it’s cute enough that adults will enjoy it, too. 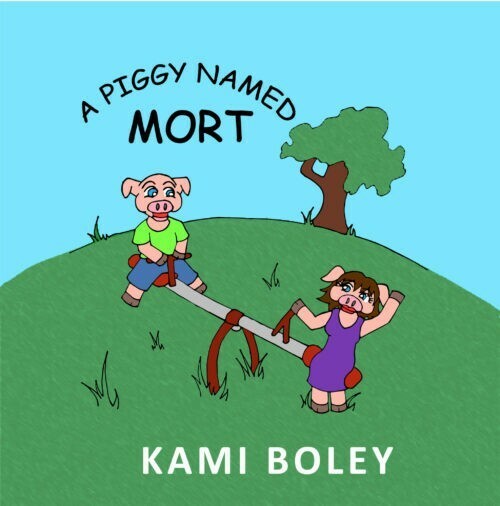 This is the author’s first work, and I look forward to more works by the talented Kami Boley. Well done! Such a lovely little book! Beautiful message of friendship, family, and hope, coupled with lovely illustrations. I will definitely be sharing this one with my niece and nephew. I really enjoyed this book. I can’t wait to share with my nephews and nieces to teach them that if they think they are alone they’re not. I like how when Bree thinks she is by herself, the cloud and sun show her that friends can come from all different places. Great illustrations. A sweet story about family. You learn that family is not necessarily who you look like, but who supports you. This is an exceptional children’s story about family and friendship. The illustrations are captivating and the flow of words will entertain and engage children. This is a wonderful book to give as a gift and is just in time for Christmas! I have to agree that Bree the Tree is a delightful read, and beautifully illustrated book! You will want to share it with the children in your life, as it is the perfect book for any child. The story is one of family and friends and helping each other feel like they belong. A great message delivered in a fun fresh way. What an Awesome story of genuine friendship and the need for family connection. Very well illustrated. Heart warming story with a lesson to be learned by parents and children a like. Looking forward to more stories by this author.